If we’re lucky enough to know our own red flags, we line up the wheels again and return to a slow chug. But, at other times, we lay there in a heap by the rails, feeling completely disempowered as to how to ever get back up onto them again. We may be stuck, scared, depressed, discouraged, and even a bit wounded. In our home, despite the right vitamin supplements, rest, sensory tools, medical interventions, downtime, and therapies, we still have times when we go off the rails. One of us spirals more easily than the rest, and then it’s like a strong pull threatening to steal our very breath and drag the rest of us into its unrelenting swirl. These are the times I have to remember a child who has been healed of many things already, the most remarkable being his significant food allergies a few years ago. I need to not focus on the storm around us but on the eyes of the One walking on water toward us. I was at that place several years ago on a cold bench facing a raging ocean. I kept waiting for someone to lift me back onto the right tracks, but the world around me was radio silent. Then God reminded me, through the quietness of His Spirit, that He was with me and I was not alone. Regardless of my feelings (which, let’s face it, regularly confuse everything that is true and real), He was at the rails with me, extending a hand, waiting for me to take it and get back up again. The cool part is: He didn’t demand I realign myself and go back to full functioning immediately. He sat there with me. Because you see, once you trust Him as your Savior and begin a relationship with Him, He will never leave you. That is the message of Christ coming to live and die as a man-but-also-God, defeating death and sin on the cross for us through His resurrection. When we believe in Him, we are never alone. He is always near. Whatever rail you find (or have found) yourself by—either in the past, now, or in the future—please know He is with you, ready to help lift you up. 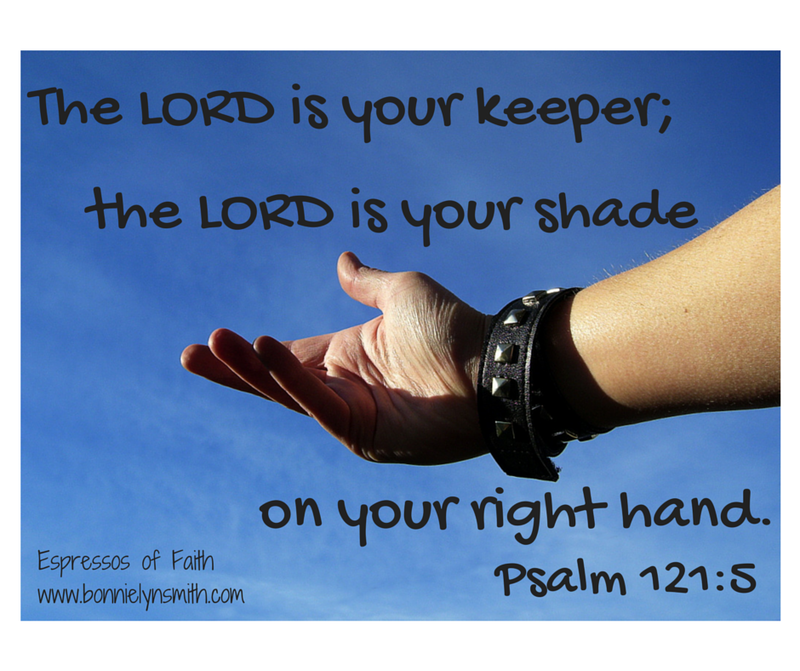 He is so near that He is the shade on our right hands! You are my blessed, holy God—whether we live most days on or #offtherails. You came to earth to meet us at the rails. *This blog was first a featured column at Your Tewksbury Today on Mother’s Day. **It has also been shared at any link highlighted here: Mom 2 Mom Monday Link-Up, Make a Difference Mondays, Pick Your Pin Tuesdays, Women With Intention Wednesdays, Grace & Truth, A Little R & R, RaRa Link-Up, Dance With Jesus, Blessing Counters, Coffee & Conversation, Saturday Soiree, So Much at Home, Faith-Filled Fridays, and Christian Mommy Blogger. 😄 I know exactly what you are talking about, I have been there so many times. I am so pleased good is gracious to pick us back up again. Ally, thanks so much for stopping by! I appreciate you saying you could relate. Somehow that always brings me comfort in the sense that we all journey this together and find out how amazing our Savior is in the process. Blessings! Sincere and honest post! Love this scripture, too! Isn’t the Scripture about being the shade on our right hand the coolest, Clare? I had never really meditated on that one before. Thanks for coming by today! I love this! My favorite part is when you said he is right there sitting with you. So many times when I feel the spirit I get so hyper and think ok have to do it now and become disappointed with the results. It is good to be still with God and be reminded he is with us always. Love your writing! Great encouragement! Tasia, wow…I really spent some time thinking about your reflection. Thank you so much! I get hyper about responding too. Other times, I’m like: “Lord, I need a minute…is that okay?” Such an interesting thing to consider. I love that He sits with us and is the shade on our right hand. 🙂 Blessings, and thanks for the encouragement! This is perfect sis!!! I can’t emphasize how powerful this post is!! Thank you!! Thank you!!! Thank you!!! For letting the Lord use you!! Tia….you made my day! Thank you for your kindness. I was having a tough day, and I came home to these sweet comments. I feel so passionate about writing about how God is with us in the broken places. My heart daily screams for those who feel isolated, alone, misunderstood, discouraged, broken, wounded. I know those places so well. Don’t we all? Blessings to you for your encouragement! Oh, blessed relief! He does!! And He patiently waits for us, comforts us, helps us get back on our feet. What a blessing to know that He is ALWAYS by our side! Sharon….thanks so much! Praying you feel better soon! I really appreciate you taking the time to comment in the middle of feeling under-the-weather. I really enjoyed your blog yesterday as well! Blessings! Ah, very good thoughts. Whether we are on the rails or off, we can rest assured the Lord is with us. Amen! Hi, Mary….I continue to remember you in my prayers! Love seeing your face on here. I pray every time I see it! 🙂 Thanks for coming by and reaffirming such a beautiful truth that His is always with us. It’s so comforting! Blessings! Psalm 121 is one of my “go to” chapters, and I loved the picture you put with it. 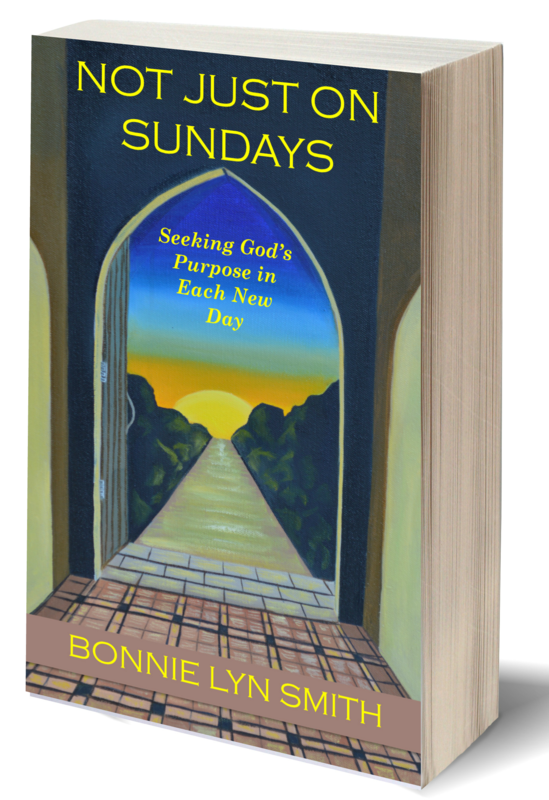 Yes, I am very ambivalent about Mother’s Day, but you have given me food for thought here, and confidence that God will meet us where we are. Linking up beside you at Women with Intention. Hi, Michele: Thank you for sharing that. I am so glad to have found #WomenWithIntention! Blessings to you! Psalm 121 is a forever comfort. Sarah, thank you so much for coming by “Espressos of Faith”! I love the name of your blog site: Radical Femininity! Lovely to be your new reader! Olga…I really appreciate your kindness! Thank you for joining me here at “Espressos of Faith”! Blessings to you! I really enjoyed this post and you quoted some of my favorite life verses! I have been off the rails so many times I wonder how I ever got anywhere! Thankful that the Lord is always ready and always faithful to help me back up. Oh, Dede….I hear you! “Off the rails” is its own destination for me some days. I’m so glad He is with us no matter where we are…on or off. Blessings to you! Thank you for coming by “Espressos of Faith”! Amen! I’m so glad that he always meets us in our brokenness and takes the time to come alongside us–always there, always ready to pick us up. It’s our choice (and it’s always a good one!). Thanks for coming by “Espressos of Faith,” Anita! I agree…it’s always a good choice! Blessings!